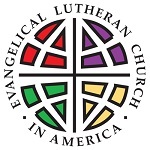 We belong to the Erie Lutheran Parish of the Northwestern Pennsylvania Synod (NWPA) of the Evangelical Lutheran Church in America (ELCA). We are located on East 38th Street in Erie, PA, across the street from the campus of Mercyhurst University. See the map and directions page for more details. We welcome visitors. All baptized Christians are invited to share Holy Communion with us. Our building is wheelchair-accessible and ushers are available at all services to assist you if needed. Click here to view or download the April newsletter in PDF form. There is more information about many of these items in the newsletter. 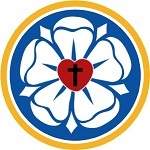 Wednesday Evening Lenten Services will be held at Mount Calvary at 7 PM on April 3 and 10. If you would like to carpool from LOG, meet in our parking lot by 6:40 PM. Join us for LOG kitchen spring cleaning from 9 AM till noon on Saturday May 11. Shelter Meal dates for 2019 are Sundays June 23, September 22, and November 10 (overflow shelter). Contact Dave Belczyk or Pastor Kim if you are willing and able to help. Copyright 2014 - 2019 PDH Productions; All rights reserved.